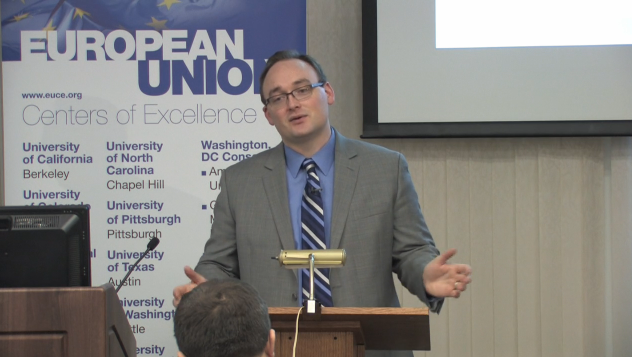 On December 11, 2015, the Jean Monnet European Union Centre of Excellence at the University of Pittsburgh held a roundtable discussion entitled "The Climate for Climate Change Negotiations." Panelists included Michaël Aklin, Assistant Professor, Political Science (University of Pittsburgh), Wil Burns, Co-Executive Director, Forum for Climate Engineering Assessment (American University), Thomas Pellerin-Carlin, Research Fellow, European Energy Policy (Jacques Delors Institute), and Leah Stokes, Assistant Professor, Department of Political Science (University of California, Santa Barbara). The moderator for this panel was Ron Linden. The UN Climate Change Conference (COP 21 / CMP 11) in Paris November 30-December 11, 2015 sought to achieve a legally binding and universal agreement on climate, with the aim of keeping global warming below 2⁰C. This will not be an easy goal to reach, as many scientists say the gases already emitted into the atmosphere will inevitably lead to a 2 degree increase. Therefore, the largest emitters (the U.S. and China) must commit to both significant reductions and subsidizing developing countries’ commitment to sustainable energy sources. Expectations are high on all sides – with optimists and pessimists alike touting this as our last chance to avert catastrophe. 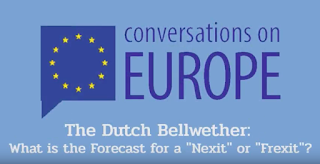 This session of the European Studies Center's Conversations on Europe series of virtual roundtables assembles a panel of experts to provide their views of what was accomplished and what was lost in the negotiations. Were the dire prognostications reasonable? What are the next steps? 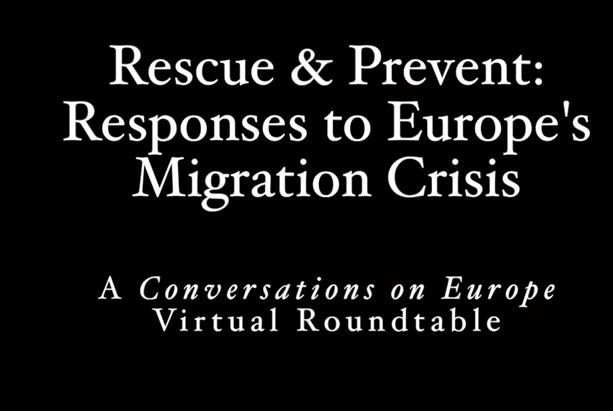 A video of the roundtable discussion can be viewed below or on Youtube. said support for the program has come from around the world. This article originally appeared on the College of Liberal Arts and Science website. The article was written by Dave Evensen. Financial gifts and renewed commitments of $420,000 will allow the Program in Modern Greek Studies at Illinois to offer more culture courses, develop a new academic minor and online courses, and increase international visibility and impact to improve cross-cultural understanding between the U.S. and Greece. 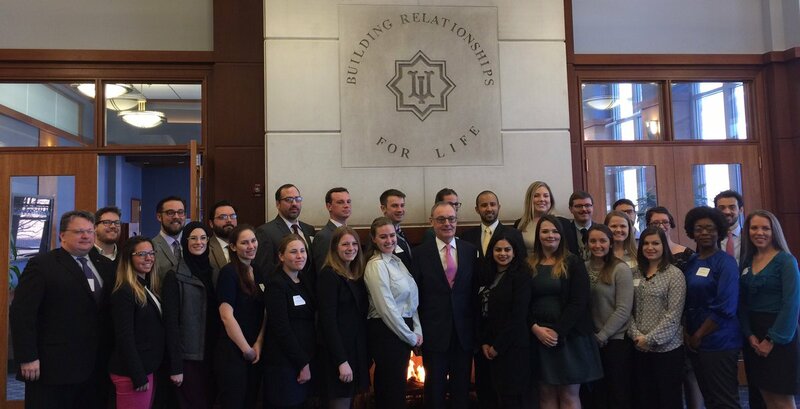 The additional support comes at an exciting time for the program, which has doubled student enrollments during this academic year alone and has been growing quickly in size and visibility since its establishment in 2008. In recognition of this achievement, strong endorsements for the program have come from prestigious scholars and university administrators from around the world. Supporters of the program include the Hellenic Studies Support Network of Chicago, which pledged $180,000 over three years; the Onassis Foundation, based in Greece, which has committed $60,000 over three years; and the Houston Family Foundation, which has committed $60,000 over three years. The College of Liberal Arts and Sciences at the University of Illinois has renewed its support of the program by committing $120,000 over three years for language instruction. Additionally, the program is now included in the Onassis Foundation (USA) University Seminars Program, under which eminent scholars from the U.S. and abroad are sponsored by the Foundation to offer lectures, seminars and courses on a broad range of topics related to Hellenic civilization at selected university campuses in North and South America. The new support allows the program to move toward its goal of obtaining a major endowment to establish a Center for Hellenic Studies, which, if realized, would be the first such center in the Midwest. In conjunction with a new center, the program could offer new study abroad opportunities along with a new major and graduate program in Modern Greek Studies. The center would also serve as a resource for citizens of Greece, Cyprus and the U.S. to share expertise and improve cross-cultural understanding. The Program in Modern Greek Studies currently offers courses in Modern Greek language at all levels, and collaborates with departments across campus to provide students with over 40 courses annually on the language and culture of Hellenism. The program has also been active in outreach, having hosted more than 85 events both on and off campus since 2008, including conferences, lectures, musical performances, film screenings and two Greek Film Festivals, and a study abroad course to Cyprus. “The Houston Family Foundation is very pleased to provide financial support to the new Greek program in addition to our ongoing scholarship program,” said Dennis Houston (BS, ’74, chemical engineering), former chairman and president of ExxonMobil Sales and Supply LLC. More details about the Program for Modern Greek Studies can be found on its new website at moderngreek.illinois.edu. 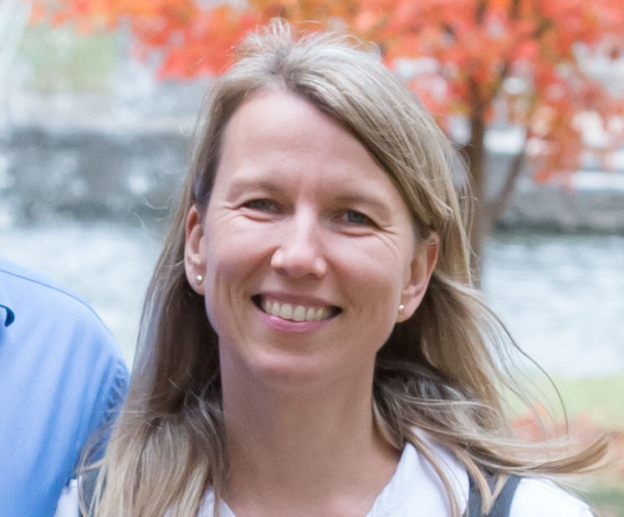 This article written by Helene Komlos Grill originally appeared on the Stockholm University website and was last updated on December 11. More information about scholarship opportunities similar to Michael Nelson's are available on Stockholm University's website. 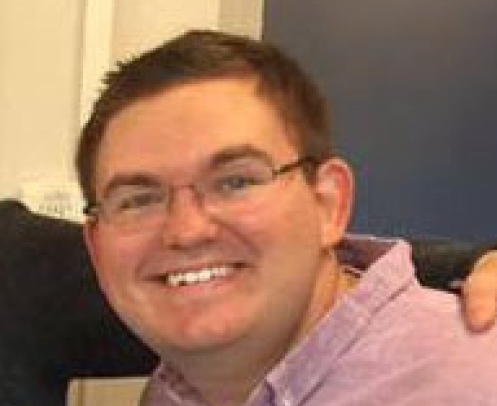 To learn more about MAEUS students, such as Michael Nelson, please visit our webpage on the European Union Center website. We talked to Michael Nelson, an M.A. student in European Union Studies at the University of Illinois at Urbana-Champaign who currently studies at Stockholm University thanks to the Kungstenen Scholarship awarded to him in 2014. I am doing a Master's in International and Comparative Education. I chose this program because I was always interested in education but never had the chance to formally study it. After getting some work experience related to international education through jobs at the University of Illinois and an internship in Belgium, I thought I had developed a foundation of practical knowledge that could be complimented by academic study. Since I envision myself working in higher education administration, I thought I would focus my Master's studies around the topic of educational leadership and management. In some ways I did, but I ultimately decided to research the impact of the ongoing conflict in eastern Ukraine on local university students for my Master's thesis. I think that goes to show that your research interests will change and evolve as you work with your classmates and professors on a wide variety of topics. It fascinates me that I have been able to do a Master's degree program taught in English in a non-native English speaking country. Prospective American students should know that the level of proficiency of English in Sweden is almost at a native level. I have written several course papers here, and I really feel that I have such an advantage over some other students because I am a native English speaker. Still, my writing skills in English have improved due to the high expectations of my professors. I've observed that professors here expect even more from students' written assignments than American professors, so I have still been able to further develop my critical reasoning and writing skills. Studying at Stockholm University has been a wonderful experience. As one of the top 100 universities in the world, the academics here are challenging and rewarding. I feel well-prepared for my future, whether I apply for jobs or to doctoral studies. It has been exciting to learn some Swedish, but everyone can speak English here, making it an easy adjustment for American students. 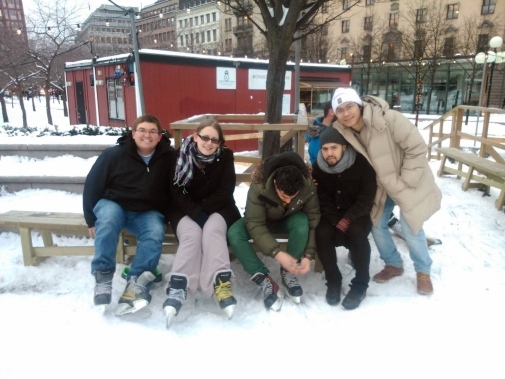 I've been able to experience Swedish culture, ranging from daily fika breaks to ice skating at Kungsträdgården. Stockholm is a really pleasant place to live. I notice it most with my health, as here I definitely spend more time outside getting fresh air, and get more exercise from walking around and exploring. This is an international city full of people from different backgrounds, so I constantly meet new people with interesting stories to share. That also means there is a wide variety of tasty food! Finally, there is always something going on here, like concerts from every popular singer or band you could ever want to see. One last thought: I will really cherish the friendships I've made in Stockholm. 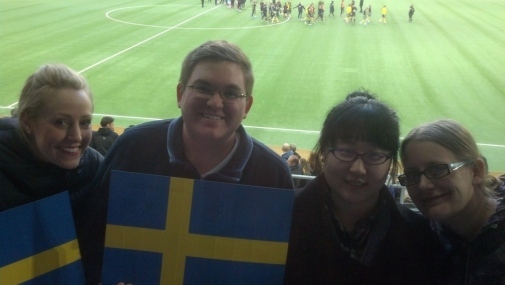 I imagined that I would make a lot of Swedish friends, but I never knew that actually I would be making friends from around the world. Already, I have travelled to new friends' home countries because of the relationships I've made in Stockholm (not to mention all of the cheap flights and ferries available from Stockholm to other countries). I feel confident that my friendships made here will be lifelong. Tusen tack for this amazing experience! On Friday, December 4th, Lindsay Ozburn, a Master's student with the European Union Center at the University of Illinois, attended a private viewing of the Field Museum’s new exhibit, "The Greeks: from Agamemnon to Alexander the Great". This special showing was a fundraising event for the Modern Greek Studies Program , also at U of I, in an effort to share the beauty of ancient Greek culture to the Midwest and garner support for the continuation and advancement of the program. Modern Greek Studies Program Director Dr. Stefanos Katsikas announced the successful establishment of an undergraduate minor, as well as his campaign for the establishment of undergraduate and graduate degrees in Hellenic Studies. The establishment of such programs would offer more study abroad opportunities, internships, and inter-University cooperation. The overwhelming support and attendance of more than 200 donors, drawing from Liberal Arts and Sciences Alumni, the Greek-American community in Chicago, friends of the MGS program, as well as distinguished guest Greek Consul General in Chicago Polyxeni Petropoulou, highlighted the positive impact the program’s wonderful accomplishments which have helped connect the Greek-American community and its supporters throughout the Midwest. This fascinating and unique exhibit features over 500 artifacts from 21 National Museums in Greece, including many pieces that have never before left the country. One of the exhibition project managers, Susan Neill, described it as the largest exhibition of ancient Greek culture in North America in twenty-five years. Organized into six ‘zones’, the exhibit takes you on a chronological journey of development in Greek history, from roughly 6500 B.C.E up to the death of Alexander the Great in 323 B.C.E. The first zones set the stage for the rest of the exhibit, showing the development of Greek culture, trade, war, and its decline. What differentiates this exhibit from others is its focus on the individual. While some are not known by name, guests can see how ancient Greek citizens were represented in death. Glimpsing at the treasures within their tombs, one can see what was most important to them during their lifetime and how they wished to be remembered. This allows a more personable encounter, rather than simply looking at artifacts outside of the scope of everyday life in ancient Greece. A highlight of this experience includes a glimpse into a priestess’s burial, who was covered in over 200 stunning golden roundels. While this exhibit features only a fraction of those gold pieces, they were nevertheless stunning. The very delicate, intricate detailing on every piece exemplifies this priestess’s importance in life and in death, as well as the pride ancient Greek craftsmen and women took in their work. An additional highlight is the interactive nature of the exhibit. While guests cannot touch the original artifacts, there are plenty of replicas available that allow guests to step back in time and experience the materials used in crafting and the intricate carvings created by skillful hands. The curators also employ the use of videos to transport viewers into the tombs in which many artifacts were discovered. One of these videos incorporates a touch screen that helps guests explore the façade of Phillip II’s tomb. One of Lindsay's favorite exhibits were the golden masks of Agamemnon – not just because of their beauty, but because of the slightly comical story of their discovery. The first mask associated with the mythological Agamemnon was discovered around the 1870s in Mycenae. 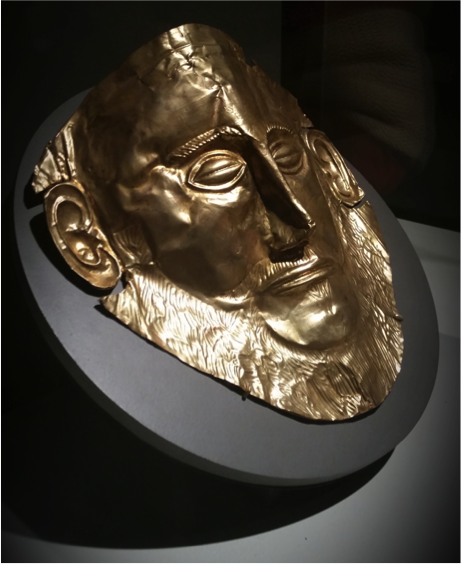 However, shortly after this, a second funeral mask was discovered that, due to its splendor, became known as what we now consider the official mask of Agamemnon. 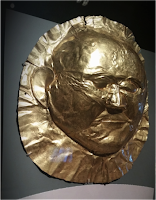 Their presence at the Field museum particularly special, as the first funeral mask has never left Greece and the replica of the second mask is highly prized. Some other notable artifacts include the second bust of Alexander the Great, a very unique boar tusk helmet, and many delicately-painted amphorae depicting scenes from Homer’s Iliad. Connected by thought, religion, athleticism, and democratic practice, the exhibit is highly recommended. It is unique that so many precious artifacts were allowed out of their homes to be enjoyed in Chicago. The sheer volume of artifacts makes it impossible to get through in just one visit. “If something catches your eye”, says Neill, “follow it.” The items that surprise you will be worth an second look, such as the tools of democracy used to select people for jury service. Do so every time you visit the exhibit, and you will be sure to have a unique, captivating experience every time. Designed to bring people together and transcend boundaries, the exhibit is the product of four North American museums collaborating with their Greek partners. After spending several weeks at the Field Museum, it will travel to Washington, D.C. to be on display at the National Geographic Museum. Lindsay Ozburn is a graduate student in the European Union Studies Program, Foreign Language and Area Studies Fellow in Modern Greek, and is also perusing a minor in Cultural Heritage Management through the U of I’s CHAMP program. 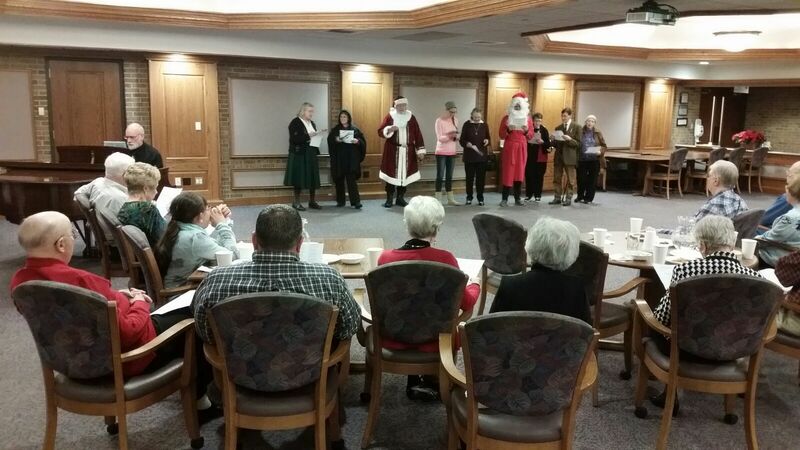 On December 6, the European Union Center contributed to “A Night of Cultural Exploration” at Clark-Lindsey Village. Students of the Recreation, Sport, and Tourism program at the University of Illinois organized the event to create a unique experience for the community of Clark-Lindsey Village which is home to former University of Illinois professors and alumni. 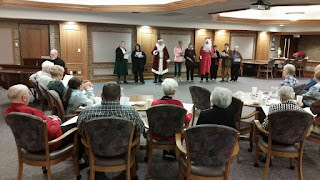 Raphaela Berding, a German student in the Master of Arts in European Union Studies program and the German Club at Parkland Community College organized a Saint Nicholas themed performance as the day of the event was the feast day of Saint Nicholas. This day is especially celebrated in Germany to remember Nicholas’ reputation as a gift bringer for the poor. The Clark-Lindsey residents were engaged in this part on the German culture. In order to serve the purpose of Saint Nicholas day, to announce the Christmas time, three German Christmas songs were sung. The European Union Center was happy to be able to contribute to the event and thereby show how culturally diverse the European Union is. 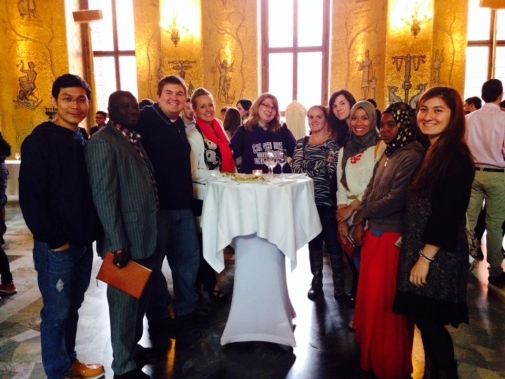 Thanks to the many European students currently enrolled in the program, the EUC can experience Europe’s cultural diversity from first hand experience. 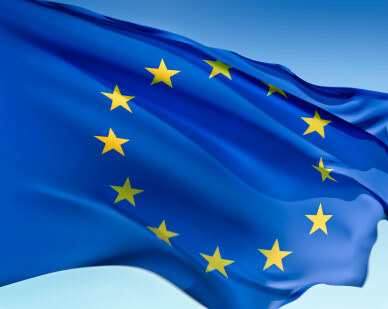 The University of Pittsburgh's European Studies Center holds videoconferences every semester, and the EU Center at the University of Illinois co-sponsors these events. The EUC hosts an event space for these live conferences, and details about these videoconference locations can be found on the EUC's calendar. 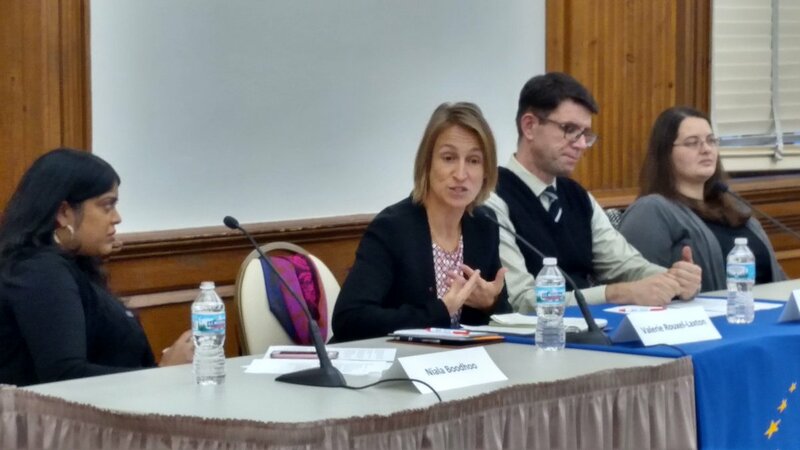 On Tuesday, November 17 the EUC co-sponsored the Dialogue on Europe Videoconference organized by the European Studies Center at the University of Pittsburgh. 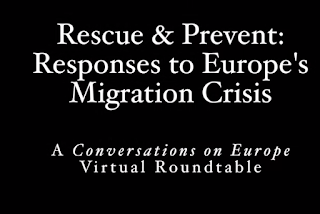 Joanna Kakissis, foreign correspondent for National Public Radio, Andrea Segre, sociologist and documentary filmmaker, Martin Xuereb, director of Migrant Offshore Aid Station, and Alessandro Bertani, Vice President of the organization “Emergency” participated in the panel and discussed Europe’s migrant crisis. The conference began with a moment of silence to commemorate the victims of the terrorist attacks in Paris. Then Dr. Ronald Linden, director of the European Studies Center at the University of Pittsburgh, in his introductory statement addressed some of the complicated questions raised by the Paris’ events and began the discussion with the panelists. Various topics were addressed, such as the influence of the media on citizens regarding the refugees and the lack of cooperation between EU countries. Towards the end of the videoconference the audience had the chance to ask questions to the panelists. Given the size of the audience and the number of questions they asked it shows that the people in the US are also concerned about what is happening in Europe. The next and last videoconference for this semester will take place on December 11. This conversation will concern the Paris Climate Talks that will be ongoing at that time.